Why does my Alfa-Lox Forage smell like peppermint? You might start noticing a new minty aroma in your bag of Alfa-Lox Forage. That’s because we recently updated the formula to contain ButiPEARL Z EQ — encapsulated pearls of supplemental butyric acid and zinc that help strengthen the intestinal tract of the horse. ButiPEARL Z EQ, currently found in Alfa-Lox Forage, allows for a sustained release of butyric acid and zinc through the upper and lower gut. The combination of zinc and butyric acid strengthens the lining of the gut, leading to improved nutrient absorption and a stronger barrier against pathogens, parasites and toxins. A healthy gut reduces the likelihood of Leaky Gut Syndrome. It can also lead to improved performance and well-being. ButiPEARL Z EQ also contains essential peppermint oils, which offers enhanced aroma and flavor to the forage, and may have a calming effect and an anti-inflammatory benefit on a horses’ intestinal tracts. “We’ve been hearing from customers how well the ButiPEARL-enhanced Alfa-Lox is working for them. They started on a few select horses within their barn and now they are planning to put their whole barn on it,” said Triple Crown CEO Rob Daugherty. Read more from Kemin Industries about ButiPEARL Z EQ and how it helps promote intestinal barrier strength here. Ulcers… Why I feed Triple Crown Senior! 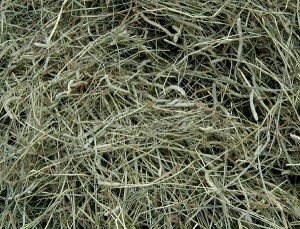 Is My Hay Green Enough For My Horse? 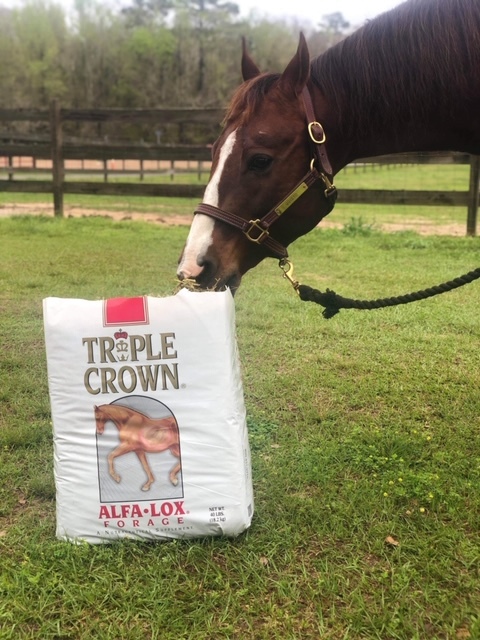 Laura Chapot Gets Crowned Triple Crown® Nutrition’s Newest Sponsored Rider Pony Tales Refuge & Rehab, Inc.